Rare are the times I get to photograph the Court of Angels now, ever since it was closed off from the public as part of the Club 33 expansion and New Orleans Square remodel. Although it was off the beaten path and a "local secret," it was a valued place where I could find some peace and quite and have some nice contemplation. Sadly, that's not the case anymore, but not being able to visit this lovely space regularly has made me appreciate it more. And I suppose that's one positive. 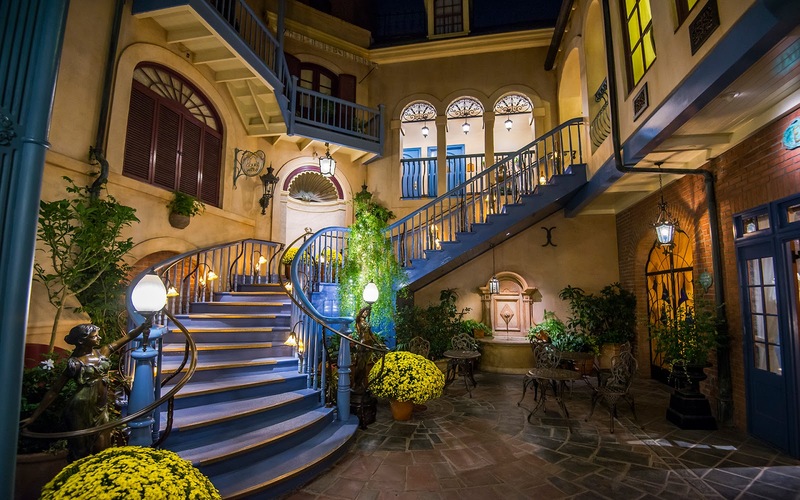 The Court of Angels represents serenity in the New Orleans Square night.